Our Lake St. Louis orthodontist realizes that Valentine’s Day often means hard, sticky, and sugary treats, which can wreak havoc for people with braces. If you wear braces, there are plenty of alternatives that will help keep your Valentine’s Day special without hurting your smile. 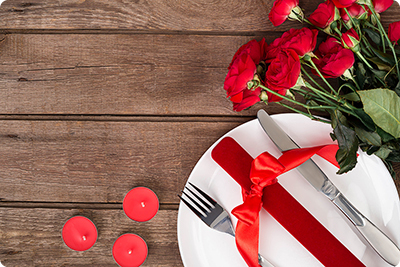 Here are some Valentine’s Day dinner recipes – and, of course, a sweet treat – that will be kind to your braces and won’t prevent you from enjoying time with your special someone. Our Lake St. Louis MO orthodontist has some suggestions! Pasta, with its soft texture, is good for people with braces. It won’t harm brackets and wires, and remnants can be easily removed. We can take it a step further with this dinner recommendation from our Lake St. Louis orthodontist. Call Our Lake St. Louis MO Orthodontist For More Great Recipe Suggestions! Our orthodontist in Lake St. Louis can happily suggest more items to help make your Valentine’s Day a braces-friendly one! To find out more, call Borello Orthodontics at 314.821.2400.